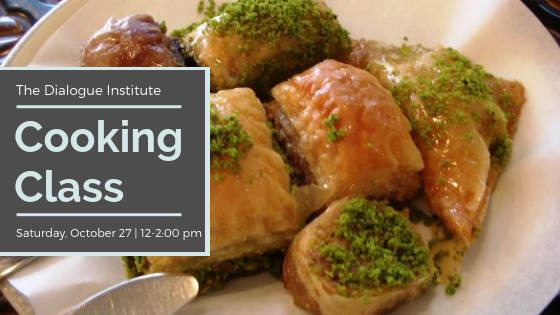 The Dialogue Institute is hosting an Adult Turkish Cooking Class on Saturday, October 27 for us at The Dialogue Institute. This is a wonderful opportunity to find out the secrets and recipes of the delicious food they always share with us! The cost is $20 per person. Sign-up at Connection Corner on Sunday or email Jim Albrect, Office Administrator to RSVP. Childcare provided at Shawnee Community but you must RSVP to Patt Ludwick, Director of Family Ministry. Kids can be dropped off at church at 11:15 am, make sure they’ve eaten lunch, then picked up after the cooking class at The Dialogue Institute.